Bytescout Spreadsheet Tools can converts XLS, XLSX, ODS, CSV files into HTML, PDF, CSV, XLS, XLSX files in a batch WITHOUT Excel or Office. 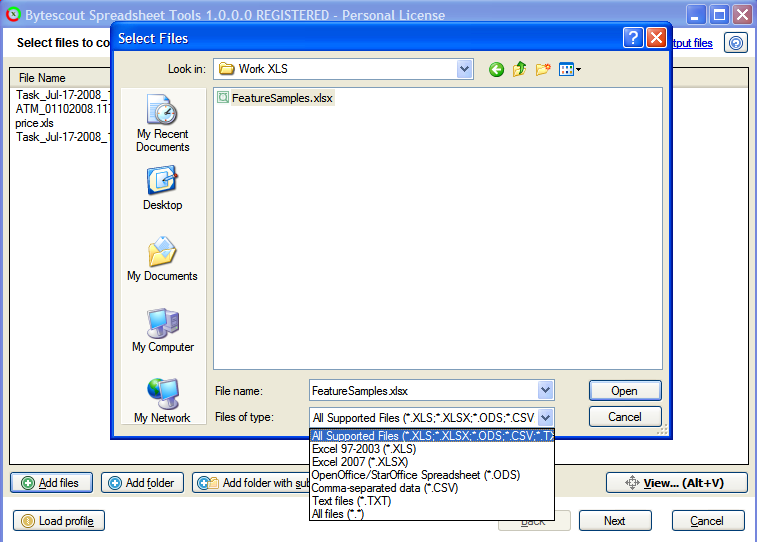 It supported input formats: XLS, XLSX (Excel 2007), CSV, ODS (Open Office), TXT (tab-delimited), Supported output formats: HTML, PDF, XLS, XLSX (Excel 2007), CSV, TXT (tab-delimited). The excel or other spreadsheet software is NOT REQUIRED! It also can support batch conversion. Converts XLS, XLSX, ODS, CSV files into HTML, CSV, XLS, XLSX files in a batch. * Excel or other spreadsheet software is NOT REQUIRED! Consolidate your Microsoft Excel spreadsheets data, flexible and quickly. An Excel add-in for automatic construction and management of complex formula. 51 productivity tools, utilities and commands for AutoCAD in one package. Qweas is providing links to ByteScout Spreadsheet Tools 1.0 as a courtesy, and makes no representations regarding ByteScout Spreadsheet Tools or any other applications or any information related thereto. Any questions, complaints or claims regarding this application ByteScout Spreadsheet Tools 1.0 must be directed to the appropriate software vendor. You may click the publisher link of ByteScout Spreadsheet Tools on the top of this page to get more details about the vendor.